Liverpool manager Jurgen Klopp has given some insight into why he’s used summer signings Naby Keita and Xherdan Shaqiri less often recently. Both players joined the Reds in the summer and looked like exciting purchases to give the club more craft and quality in the final third, but it hasn’t really worked out for either of them at Anfield. 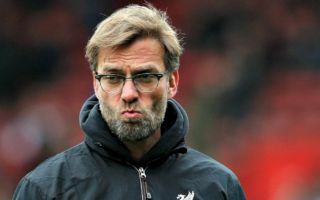 It remains to be seen if either player can still make a case for himself between now and the end of the season, but Klopp has tried to play down talk of their struggles. Speaking to Liverpool’s official site, the German tactician explained that he simply changes his team around a lot and adapts his selections to whoever LFC are coming up against. However, he also took a moment to suggest both players could do with improving their decision-making when they do step onto the pitch. “It is about our situation in training and what’s needed individually for the next opponent. That is all that we think about,” he said. “We don’t stick to one formation or the other, but the boys need to offer. Sometimes it is more possible and sometimes it is not possible for different reasons. “It’s just that we have to think about a lot of things before a game. We played quite a few teams with really good set-pieces, stuff like that. We needed to make sure that we had the right line-up and set-up for that. “Naby is actually in a good moment and has trained well. It’s only been the last three games he didn’t play too much. “The team is in a good moment and we feel in a good moment so it’s difficult if things are working out well in midfield. If it’s any consolation for Keita and Shaqiri, it took some time for Fabinho to get going at Anfield before he eventually made his way into the team and became one of the Merseyside giants’ most impressive performers in the second half of the season.